Cozy Chicks: But I Thought Bread Was the Staff of Life! But I Thought Bread Was the Staff of Life! Bread has been a staple of the human diet for centuries, but for the past few years it’s been getting a bad rap, first for the excess calories of a simple carbohydrate, then for the gluten. Since I didn’t consume all that much bread anyway, it was of no consequence. But as more information about gluten sensitivities came out, my internal radar started blipping. So I decided to use him as a test subject. (I love doing that). I stopped buying bread with gluten. I stopped buying pasta with gluten. I stopped buying wheat flour or any product that contained it. Instead, I found brown rice pasta that you would not know wasn’t regular old wheat pasta. I also found rice bran bread that was super delicious and crunchy when toasted. In fact, I found all kinds of gluten-free products, including many kinds of flours. We didn’t miss a thing, well, except when we’d go to a restaurant and the wait ers would bring out that big bowl of bread. That was tough to pass up. Still, two weeks later, my husband reported that his IBS was completely gone. It had plagued him for decades, but he’d never known the cause. And every doctor he saw just gave him pills for it, which didn’t address the underlying problem, and didn't even help the suffering. Needless to say, he’s ecstatic. No more pain! As a bonus for me, since I cut out the gluten, I don’t get that annoying bloating after a meal. The most dramatic result of going gluten and dairy free happened to a friend of ours. He had Crohn’s Disease, Type II diabetes, and had a huge belly. He was a mess. The doctor had him on so many medications for the Crohn’s that he couldn’t function at work. He moved to Florida, hoping he’d feel better there, but said he woke up each morning “feeling like crap.” I had mentioned to him about our diet changes, but he waved them off, saying he’d never been bothered by dairy or bread. Why would that be a factor? It really isn’t a hardship to give up gluten. You can still enjoy the staff of life, just not in wheat form. And what I also learned about our modern day wheat is that it isn’t the same as the grain of old. It’s been hybridized to such an extent that it cont ains way more gluten than our ancestors ever had to digest. Plus, farmers often mixed grains instead of using only wheat. It was ground by hand, or at a grist mill, not in a factory. And it sure wasn’t sprayed with pesticides or was genetically modified. Have you ever had to give up a favorite food? Do you feel deprived? Have you gone gluten-free? How did you kick the bread/cake/cookie habit? WOW! That's great that you got your friend on to healthy living. I have given up a lot of different foods or really had a lifestyle change. I was never 'big' to begin with, but my eating habits weren't the best and I got bad cholestrol and high blood pressure. My dr and I did a lot of natural things to help them, but ultimately, I had to change my eating habits and lost 31 pounds in the process. So I had a lifestyle change. I had an attack last year and found out I had gall stones..
With no insurance, the dr wouldn't do surgery so I went on a strict diet which meant none of my fried or fast foods...no pop or caffeine. I lost almost 80 pounds and have only had about 2 attacks since....I miss chinese and cappachinos the most!!! I wonder how many of us would notice a significant change if we tried a gluten-free diet for a while. How long would be a fair test? One more comment. I worked with a woman who cut out gluten from her diet. I didn't see her for a few months, but when we did run into each other, the change was startling. Not only had she lost weight, but she'd undergone a personality change--she was much happier and nicer than she had been. A real bonus! I am glad you posted this Kate I am going to try gluten free for this family. I have type 2 diabetes and have IBS myself not fun. The boys are still young so hopefully they won't notice a thing. It might be a tad hard at first, but in the long run the outcome looks a lot better then it does right now. How timely is your post because a friend and I are going gluten-free this week. So far I'm doing okay, the test will be when we go out to lunch. Kate--at YOUR suggestion, I've been gluten free for just over three weeks now. Already, the change is amazing. I highly recommend trying a gluten elimination diet for anyone who's having fibromyalgia/MS symptoms before undergoing all kinds of expensive treatments. Just may change your life. Thanks, Kate! I owe you. As an elementary librarian over the last few years I've become more aware of things that people should/need to cut out of their diets. It started with tree nuts/peanuts. I remember being disappointed when the cafeteria stopped making peanut butter cookies. But these days food allergies, especially in children, can be quite dangerous. I've been lucky in that I haven't had to give up things like gluten or nuts. But I did recently go through a life style change as far as my eating habits are concerned and I dropped 78 lbs. One of the things I gave up was diet coke with lime and I missed it a lot. I had my first one in almost a year last week. And you know what - it just didn't taste as good as I remembered. I won't be adding it back into my diet. I've been addicted to ice cream all my life. When I was a skinny kid, that was OK. About the age of 22 though it all caught up with me. The first of this year I gave it up (AND I MISS IT!) along with potato chips, most fried foods, and sweets of all kinds. My weight is gradually coming down and I feel better. I haven't given up dairy or gluten specifically but I'm doing a very tight calorie count diet which eliminates pretty much all higher calorie foods. I was going for the weight loss but I've had a great side benefit...no more acid reflux. I haven't needed a Nexium in months. But I do miss ice cream. Linda, you are the prime example of how diet can cause -- and fix -- problems. I read recently that all disease results from what we take into our bodies -- food, drink, air, and stress/negative thoughts. I don't mean to be punny, but it's food for thought. Bookworm, Rural view -- yay for you both. And for an eye opener, have you ever seen the Youtube video a scientist made about her experiment feeding artificial sweetener to a hamster? It will make you never ever want a diet drink in your life. Google it. Thanks for sharing your experience with gluten & lactose elimination diets. 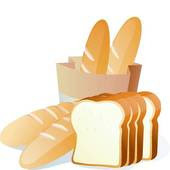 I am going to check out the gluten list to see if I can substitute for better choices. I am cutting back on all starch and sticking to gluten free stuff for what I do consume. I am now starting week 2 of my diet which is somewhat uncharted territory for me as my diet attempts usually don't last this long. I must say your post serves as good motivation - so thanks. Thanks, Kate, for a thought-provoking post. I am glad to hear it's working for your hubby! I'm spreading the word. The best motivation to keep going is getting results. Ask anyone who has done the elimination. You feel so much better, you want to keep going. I'm delighted to provide some inspiration. It's been a revelation to my family, for sure. My daughter has suffered from indigestion after meals since she was in high school. She knows now that when she eats starchy foods, she bloats, gets cramps, and is miserable. So it's her choice whether to be miserable or not. More often now, it's not! I have gone to a gluten free, sugar free diet this summer and lost 30 lbs. I have more to go but I feel great. I love sandwiches but when I go out for lunch I just have them bread free. It's not bad. My IBS hasn't disappeared but it is better. The best part is that I feel more energetic. Have you given up cow's milk products? That definitely contributed to my husband's problem. We stick with goat milk cheeses now. Maybe give that a try to see if it helps? Another thing he did was to give up all diet drinks. IBS is a miserable condition. I hope you can find a solution.